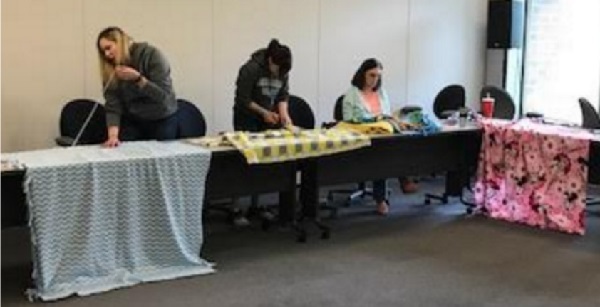 Terri, Renee, John, Linda, Dominique, Michele, Jackie, Becky and Kathy made 10 no sew fleece blankets for Project Linus. 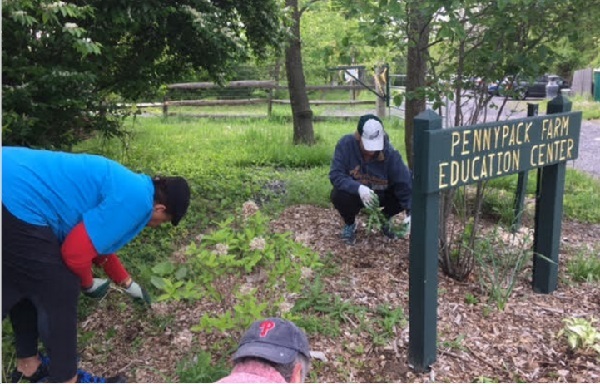 Thanks to Josh, Melissa, Lane, Valerie, Dave, Kevin, Tony, Steve for their work at Pennypack Farm & Education Center. They did A LOT of weeding and mulching and pulled thistles from strawberry fields. 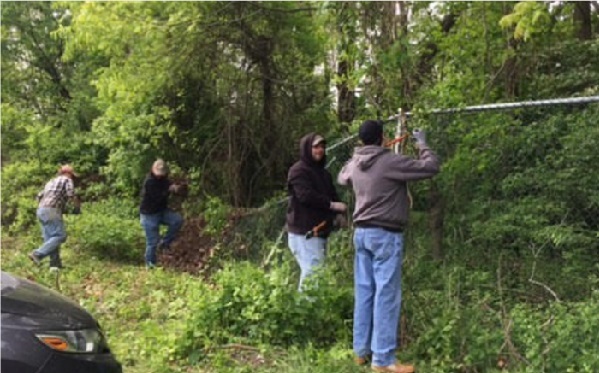 They took down honeysuckle and vines from a fence that was falling over. Kevin and Josh worked with Julie on DonorPerfect online forms for our client to collect donations online. It wasn’t all work though, they got to enjoy fresh carrots right from the garden. Forget farm-to-table; this was farm-to-mouth! 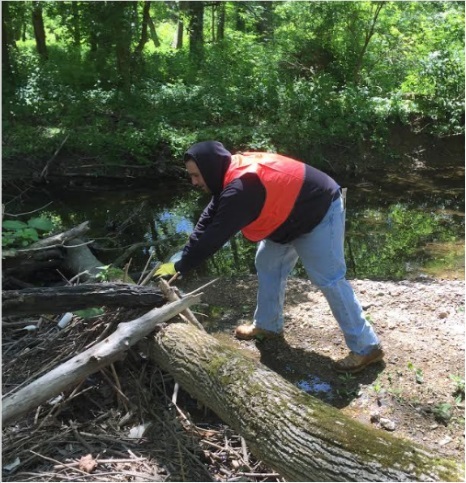 Steve rearranges the forest one fallen branch at a time. 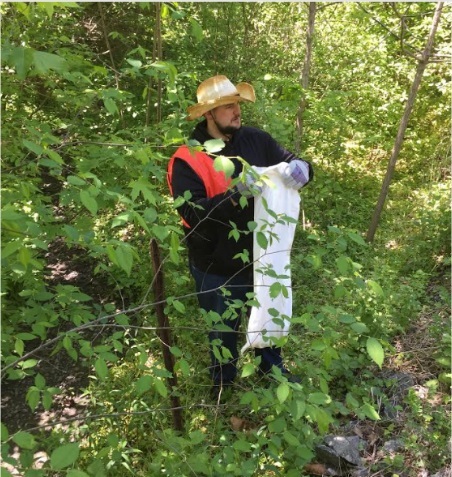 Dan goes deep into the park with his trusty gloves and trash bag to do some good! 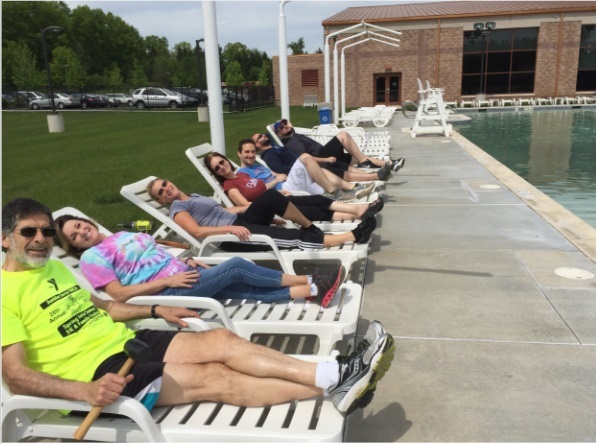 Thanks to Nathan, Becky, Dan, Terri, Evan, Shane and Eleanor for preparing the pool deck at the Ambler YMCA on Wednesday May 10th. They put together benches and set up the lounge chairs. They even found time to take a little break (get back to work you loafers)! If the folks at SofterWare ever want to branch out from software, I think the food delivery business has our name all over it. 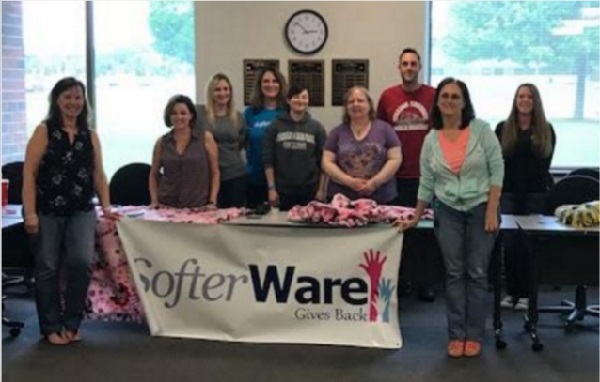 Once again, the generous SofterWare staff donated food, this time it was just our support department! They were supposed to be competing against another department, but there was one problem: we forgot to tell the other department! 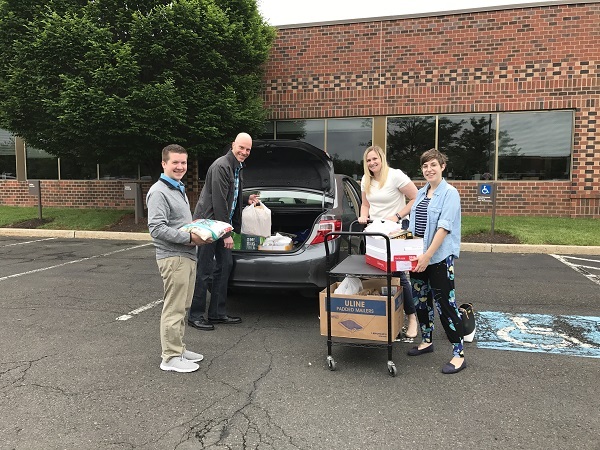 Not to worry; the support folks did such an amazing job in collecting 430 pounds of food for “Loaves To Fishes” to help those in need through the SofterWare Gives Back program. 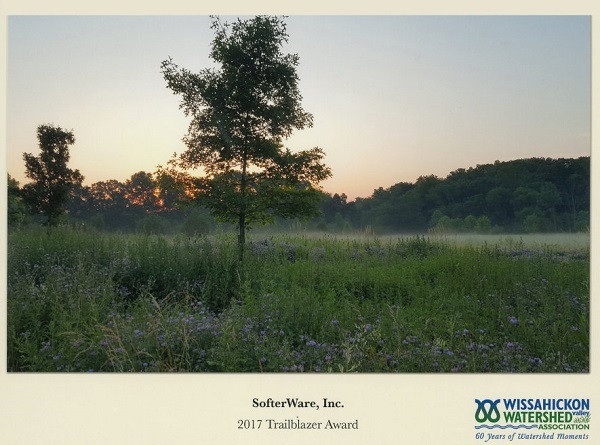 Best of all, now that the other department actually knows about it, they’re embarking on their own internal competition so stayed tuned for another delivery from the SofterWare food delivery division! 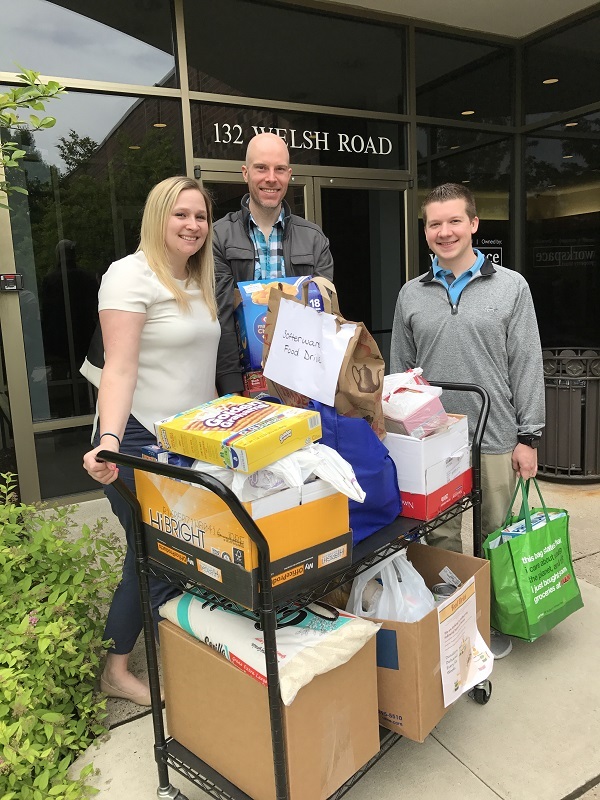 Jackie, Ed and Bill bringing out the huge haul of food donated by our generous support team. 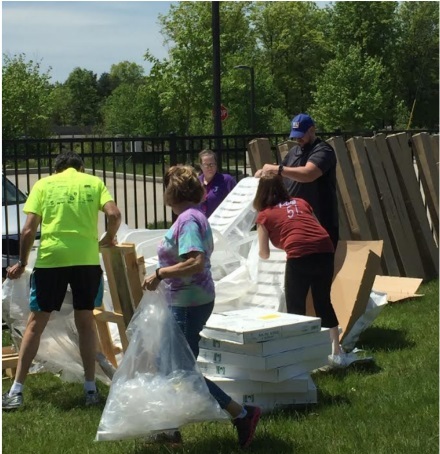 Delight Activity – frame photos for parents and TY for staff who helped . 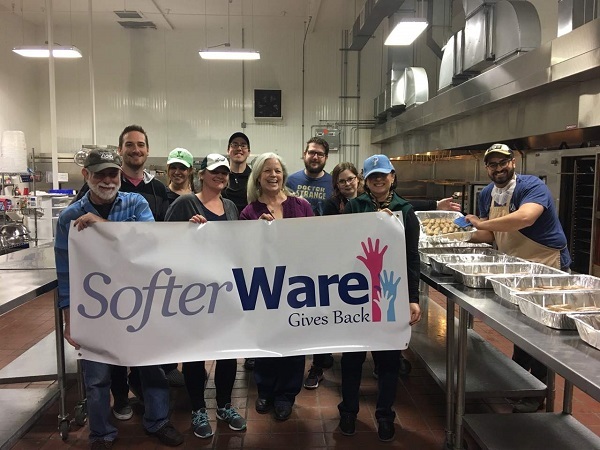 Ten folks from SofterWare participated in a cook event at Aid for Friends this past Wednesday, March 22nd. 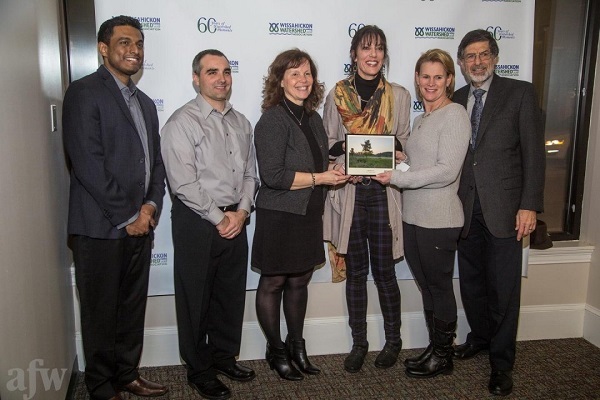 Participants in the event were Dallas Mease, Dave Newell, Debbie Scarlett Foster, Evan Doyle, Jess Carosello, Jessica Gremillion, Laurie Wernick, Melissa Winterborne, Rick Steinberger and Tom Hasani. 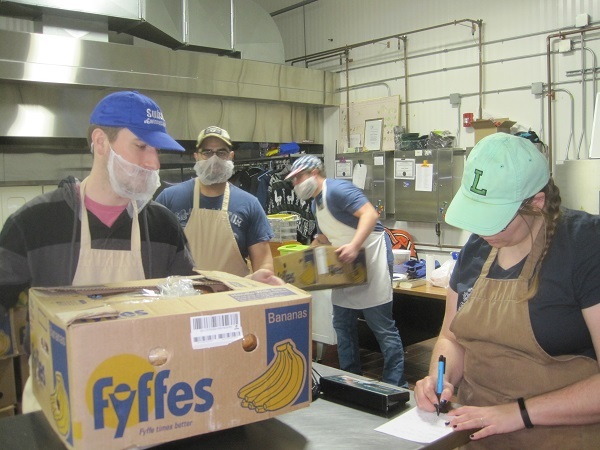 We also learned about how Aid for Friends operates and how many home-bound people they serve. 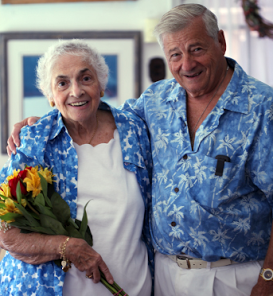 Unfortunately, the founder of Aid for Friends, Rita Ungaro-Schiavone, had passed away that very morning. 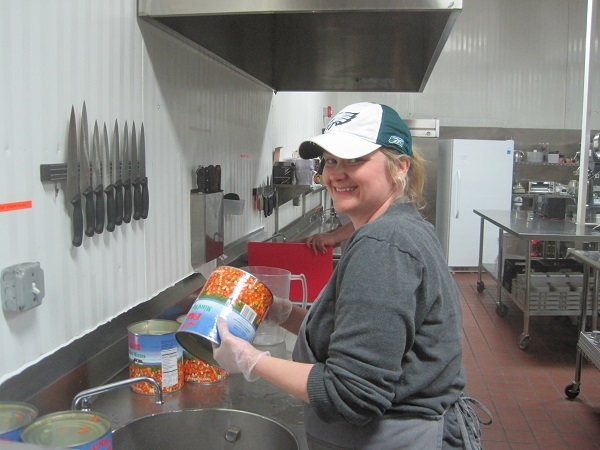 Step 1 – Melissa open’s can. Step 2 – empty can. Step 3 – repeat 100 times. Step 4. Feed a lot of grateful people! Dallas, can you slice it a little thicker? Never mind, I’ll just get my fork. 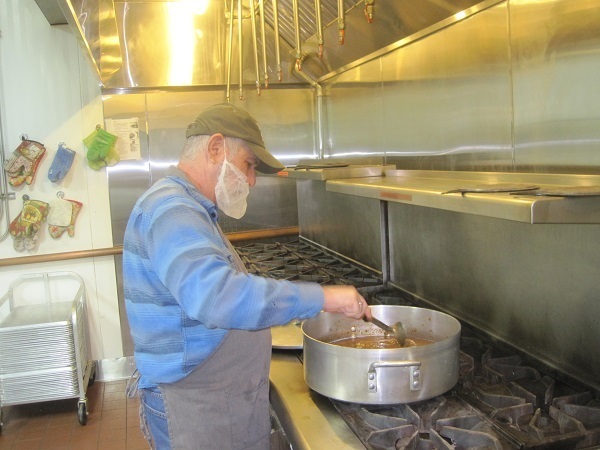 Rick making the chicken soup. It does the body good! Debbie, Dave and Laurie are making soup to go! Melissa and Jessica are dishing out the soup – this is making me hungry. 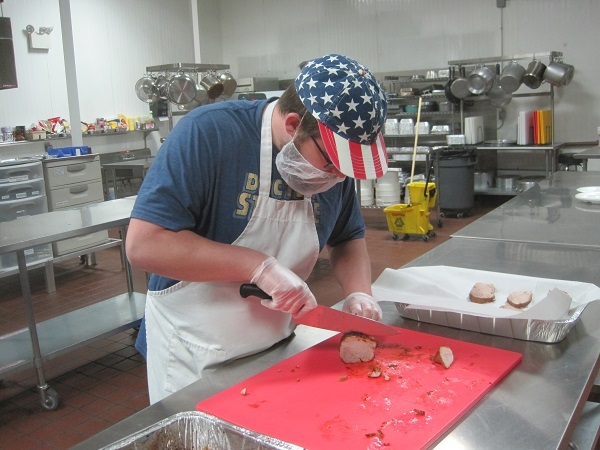 Dallas and Jess are prepping sausages for lunch – looks good! 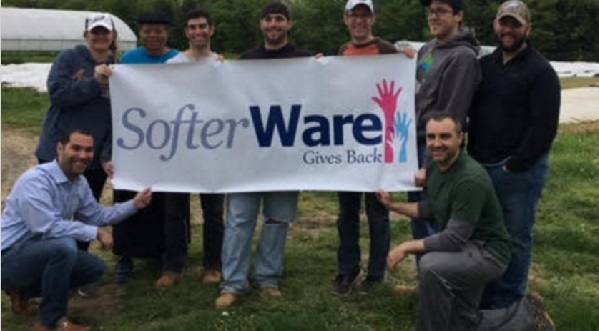 The SofterWare gang showing off our colors in the Aid for Friends kitchen. 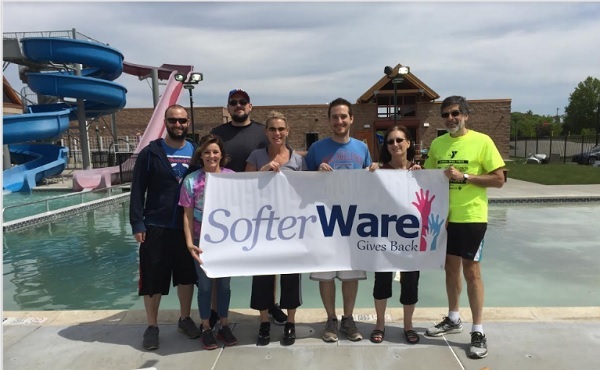 On Saturday night, SofterWare celebrated its 36th anniversary at The Fuge. The Fuge houses a centrifuge machine, which swings a capsule around in a circle on the end of a long arm. It’s designed to simulate gravitational forces, or “Gs”, on a test subject. 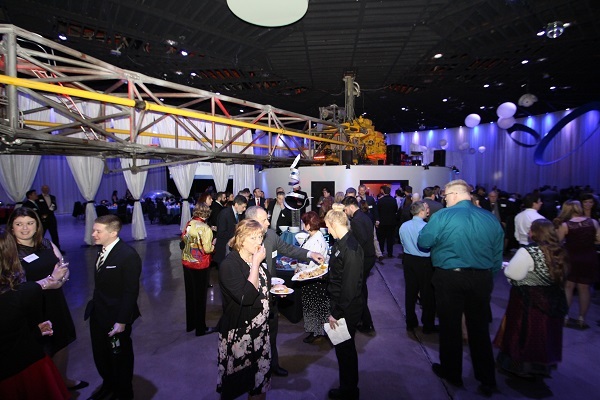 SofterWare partied in a room that trained Mercury and Apollo astronauts to prepare for space! The long arm that swings the capsule at the end around in a circle to allow astronauts to experience “G” forces. Now its a prop above a cheese & cracker table! The other great part of our annual party is the fact that we never forget why we’re in business, which is to help our clients. 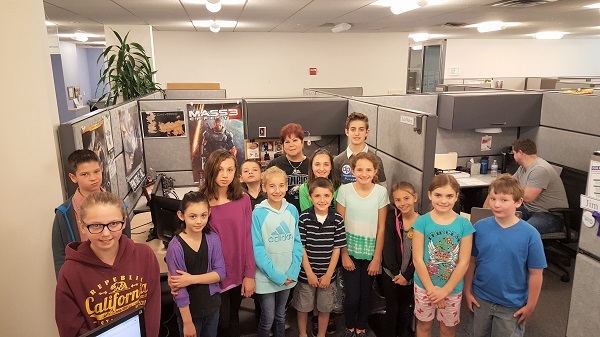 All of our fundraising software clients and many of our childcare and camp clients are nonprofits. We like to show our appreciation for them by giving part of our party budget to our clients and other nonprofits. 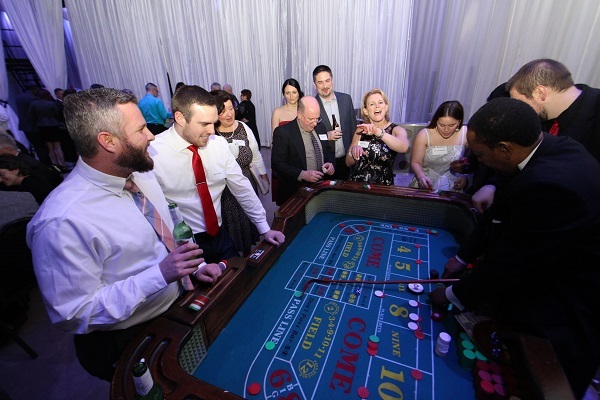 As staff arrived at the party, our HR Director Kathy Piunti handed everyone several hundred “SofterWare” dollars so we could gamble away at roulette, blackjack, and craps. A total of $3,000 was split among them. For SofterWare folks, it was a fun way to learn how to gamble and bet over your heard without personal consequences. Another Sam at our company did the latter and turned a couple hundred bucks into $17,000! Unfortunately for Sam, the exchange rate for chips to tickets was not too good, and his plan to control the destiny of SofterWare’s charitable donations was thwarted. 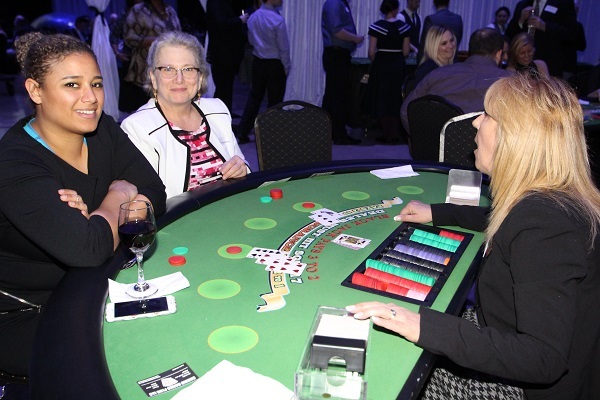 Susan Guggenheim, Client Relations Manager, and other guests, were betting big for charity at the blackjack table. (It helped that our dealers were a little more forgiving than the real world dealers). Meanwhile, I was at the craps table and I lived up to the name, throwing the absolute worst rolls ever. Even though it was for charity, I thought one of the guys was going to throw me in the centrifuge and send me to Jupiter. Fortunately, our Senior VP Mike “I Always Make My Numbers” Sernoff came right after me and had a 45 minute roll! He nearly wiped out the bank! 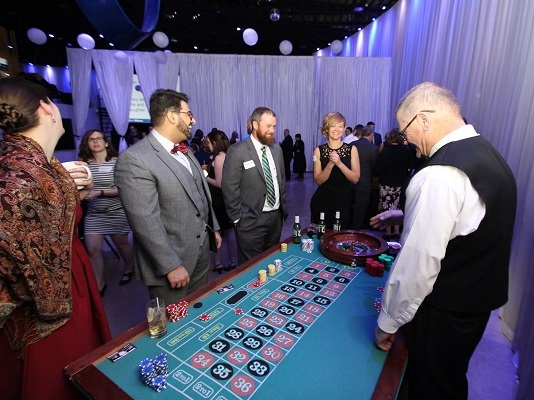 The dice were hot for some folks, including Eleanor Stasio, our Director of Implementation. She owned the craps tables and made everyone very rich (in fake money). A good time was had by all, and several worthy causes were the beneficiary. Not a bad way to spend an evening! Everyone has at least one thing they’re good at. Some people are lucky enough to have that thing be something others are willing to pay a lot of money; e.g. a baseball pitcher consistently throwing a ball really fast and straight. Others are not so lucky (e.g. my friend’s a great whistler, but has made no money at it and constantly annoys his wife with his “gift”). Sid the Pom, as in Pomeranian, really only knows one trick – he can wave “hello” with both his paws together when you pick him up and hold him out towards people. Its only one trick, but it’s a winner. Add to that he looks like the cutest furry toy you’ve ever seen, is people friendly, and loves attention, and you have the perfect wing man if you’re looking to meet someone, or in this case, the perfect mascot to help your animal-based nonprofit raise lots of money! 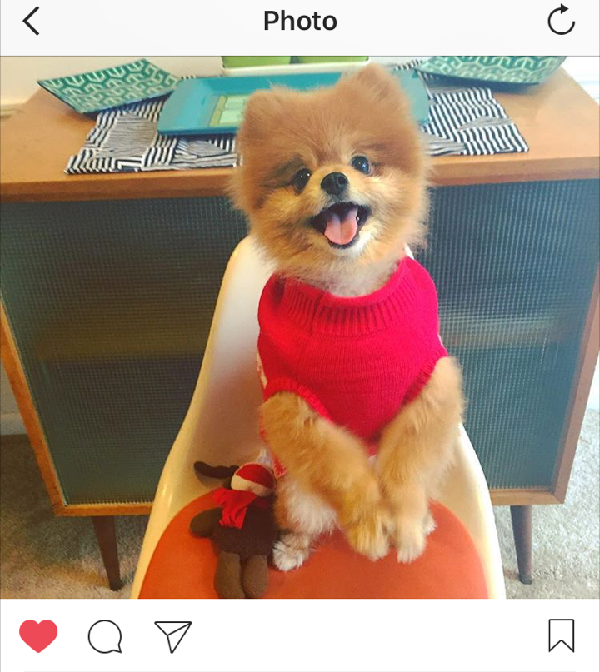 Sid the Pom shows off is now famous two-pawed waves to his social media fans! 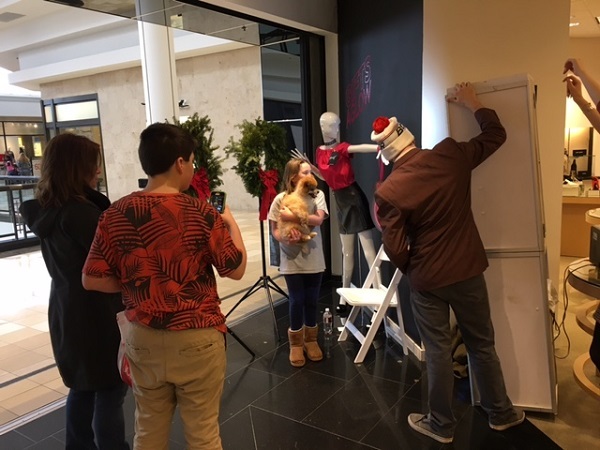 On Sunday, December 18, Bloomingdale’s department store at the King of Prussia Mall near Philadelphia invited New Leash to set up a booth at one of their entrances. 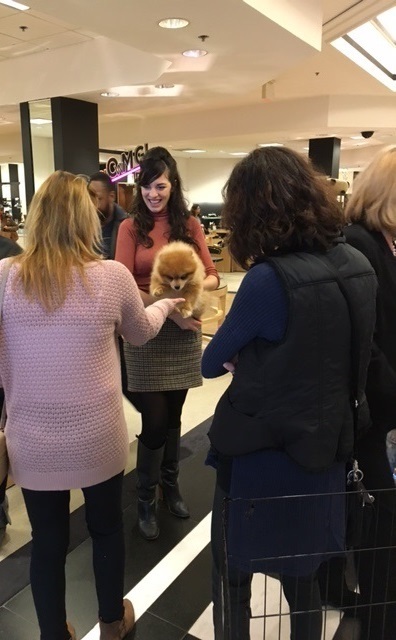 All shoppers had to do was show New Leash their Bloomingdale’s receipt so they could take a picture, and the department store would donate 10% of their purchase to New Leash. The customer didn’t have to donate at all. The trick was to get people to stop. Enter Sid! 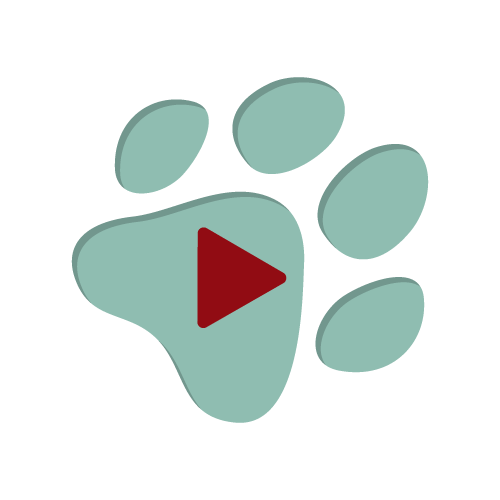 Emily Patz, who got to work closely with New Leash on a SofterWare customer profile, videos, and new e-book 7 Ways You Can Start Growing Your Nonprofit Today!, volunteered to bring her ham of a dog to lure folks over. Boy, did it work! In the course of just 2 hours, hundreds of people stopped, hugged, kissed, tried to adopt, and smothered Sid with affection. There was even a photo booth so people could get their picture taken. All-in-all, it was a big success! New Leash received lots of money and exposure. Bloomingdales showed their generosity and compassion to their customers. And Sid the Pom got to help his fellow canines, and in turn, became a star! Sid the Pom greets a new fan to help out his fellow dogs for New Leash on Life. A young fan fell in love with Sid and got her picture taken in the photo booth. 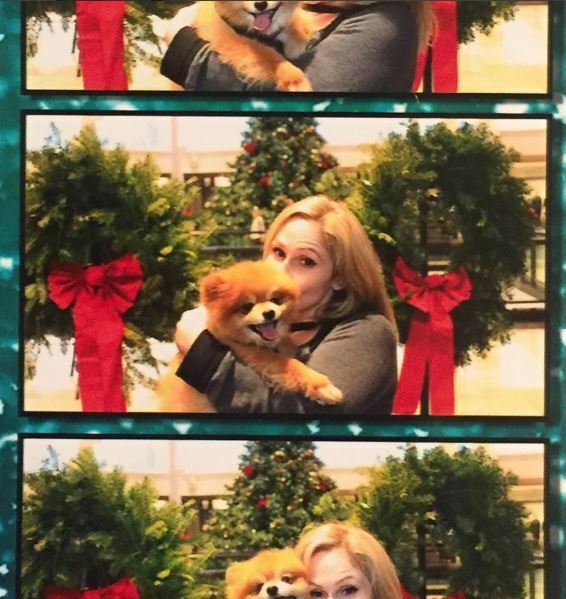 A photo-booth action shot with Sid and an adoring fan! What a charmer!